InCoax presented In:xtnd™ at the Fiberdays19 fair in Wiesbaden 27-28 March. InCoax presented and demonstrated In:xtnd and received a lot of interest and requests for quotes for evaluation kits which is the first step in a customer journey. Germany is one of InCoax’s targeted markets with a lot of existing coaxial infrastructure in buildings and fibre now being rolled out in the streets. “We see a large potential to help solve the challenge in Germany connecting the fiber in the street to the consumers in an easy and cost effective way. 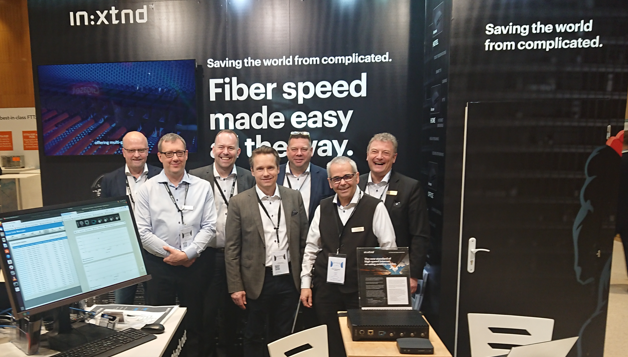 Several broadband operators recognize the benefits with our solution and want to take the next step with us”, says Håkan Rusk, Chief Sales and Marketing Officer at InCoax. Fiberdays19 is a fair with approx. 3000 visitors organized by the German Broadband Association (BREKO) which represents the majority of all alternative fixed line broadband network operators in Germany.